Stejcraft 610 Monaco - Available as a Sportsfisher package or Deluxe luxury package, both these models accomodates the offshore fisherman or the family day out on the water, very versatile. Both packages provides you with a higher quality finish than most boats on the market today but coupled with the best value for money today. 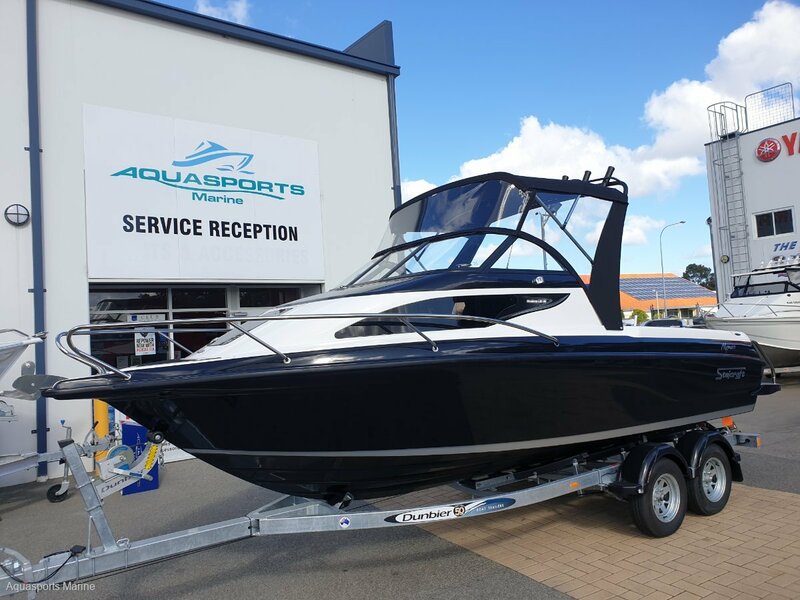 Whether fishing, cruising, water skiing or any on water activity at all this boat has it covered, with a dry and smooth ride it gets no better and that's why its been Australia's biggest seller in the last 12 months. The Stejcraft 610 Monaco is in a class of its own when it comes to quality austalian built product, smooth riding and very stable at rest all add up to a great family fun or fishing craft.